Fantastic value for the budget conscious! Our Callaway Supersoft 1 Ball Carry Combo Packs are perfect for those on a limited budget! 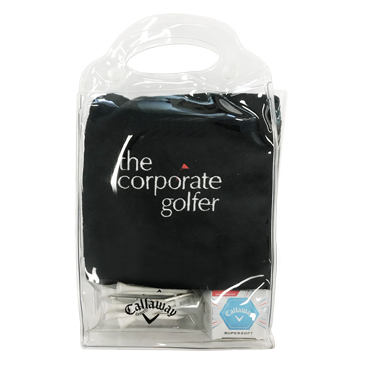 Offering the same great Carry Combo Pack but containing just the single ball means that you can give that impressive looking prize, corporate gift or giveaway that you want to with less expense than the 3 ball versions. All items are packaged in a clear handy carry bag - perfect for displaying the logoed contents.